We try to support local design and produce at Atmosphere Resort and that also goes for our Boutique, where we sell mostly products made in the Philippines and when possible, here in the Dumaguete area. We sell t-shirts hand-printed here in Dumaguete, we sell food produce by local orphanage Bata ng Calabnugan, we sell the amazing recycled jewelry of Lumago Designs, bags by negros-based Lalee and so much more. Here are some of the latest products you can find at Atmosphere and take home with you. 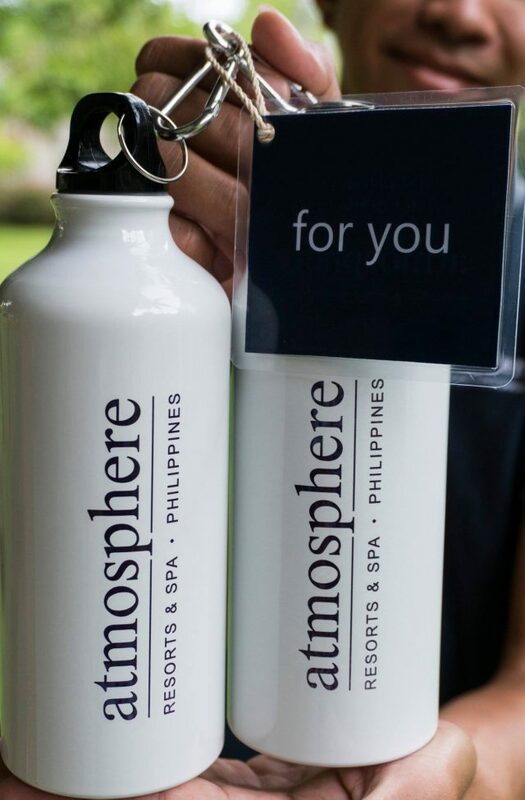 At Atmosphere Resorts we say no to disposable plastic and amongst other environmental efforts, we don’t offer plastic water bottles in the rooms. What we do offer though, are free stainless steel water bottles to use during your stay and to take home with you! Filtered drinking water is available throughout the resort – make sure to hydrate!